Castle was born in early 1971. Its parents were an Engineer and Sales and Marketing man. The original Company brief was to design, manufacture and sell Electronic Instruments, and in addition undertake custom design work on a contract basis. At a very early stage a contract was won to design and manufacture a Sound Level Indicator for the Open University. This contract eventually led to the supply of over 7000 meters and coupled with direct commercial sales of around 20,000 meters made the CS15C Sound Level Indicator the biggest selling sound level measurement product ever. From this beginning, a range of products were designed and to help Castle compete with big established competitors with multi-product catalogues, various agencies were acquired for several complimentary products. During 1980 two senior employees undertook a successful management buy out. Immediate steps were taken to recruit able and experienced design engineers and to reconstruct the Company. This has now resulted in a very forward and dynamic Company highly successful in many areas of Noise and Vibration with many products and new services including consultancy, training and instrument Hire. The two directors responsible for this transformation are Mr Peter Bull and Mr Peter Hudson, Financial and Production Director. To continue this momentum they purchased a factory on an industrial site near Scarborough, where the increased space has enabled them to establish proper test and calibration facilities, improved stores, create increased production space and expand the Consultancy, Training and Instrument Hire side to the business. Since the management buy out, four stages of engineering development have been successfully carried out to plan; first the product line was re-vamped, modernised and given an improved graphic image; second a new body style was designed which now houses a significant part of the product range; third the introduction of microprocessor technology to a range of new products and fourth, the introduction of surface-mount technology and multi-layer printed circuit boards enabling complex instruments to be manufactured in pocket-sized cases. 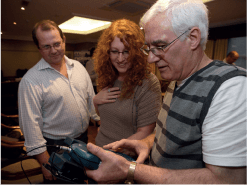 The early 1990’s saw dramatic advancements of the technology used in Castle instruments, with many new products including specialist Vibration measuring equipment. There was also a move towards more clearly defined product ranges, covering different customer requirements and applications leading to Castle becoming a highly competitive and successful company. In 1995, Castle purchased two other companies, a Noise and Vibration Consultancy and hire company and a medical company which sold audiometers. The new company, re-named Castle Group Ltd, is set to deal with an even wider range of noise and vibration tasks. In 2000, owing to the significant and continuing growth of the 1990’s, two new directors were appointed. These appointments were made to strengthen the board and to bring dynamism at the corporate level and to lead the company to even greater success. Following the credit crisis of 2008 and the ensuing recession, Castle set out on a path of restructuring and investment into new products and services, determined to bring the company back to growth. Careful planning and building a new team has delivered the required result. The overall growth of the company is now approximately 10% year on year, and in the year ending June 2017, Castle grew it’s exports by over 120% with similar growth expected this year. 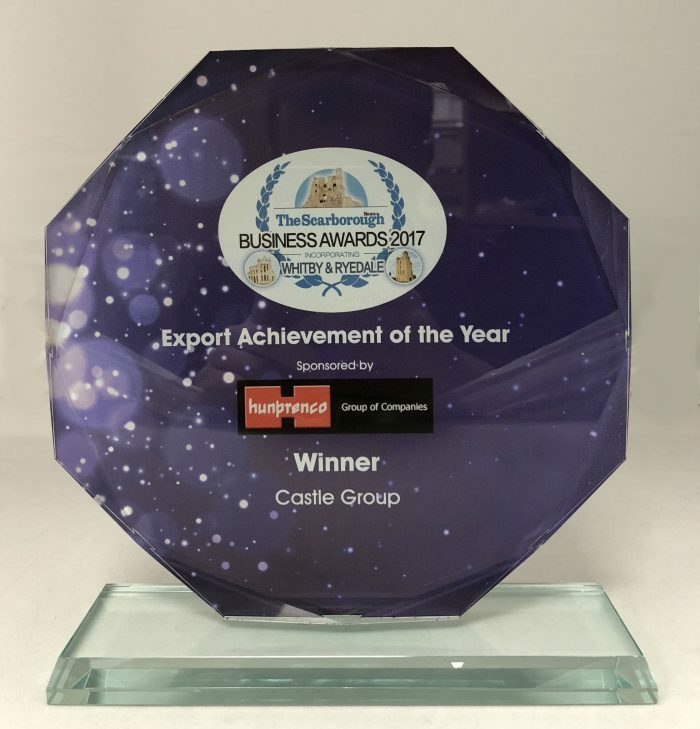 Castle were recognised for this success by the Scarborough Business Awards 2017, receiving the Export Achievement of the Year Award.